I’m not even going to say anything. Just look at the picture. 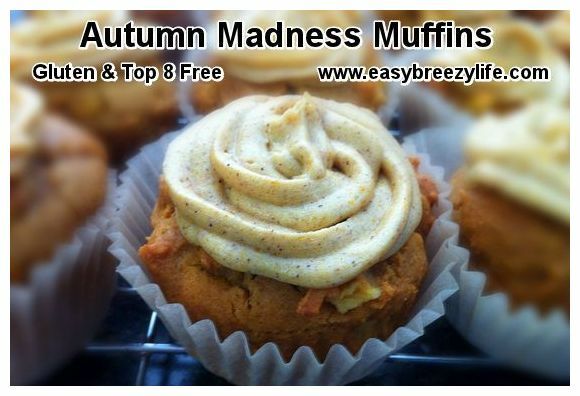 Go ahead… this allergy friendly pumpkin muffin recipe will be a soon favorite in your house! 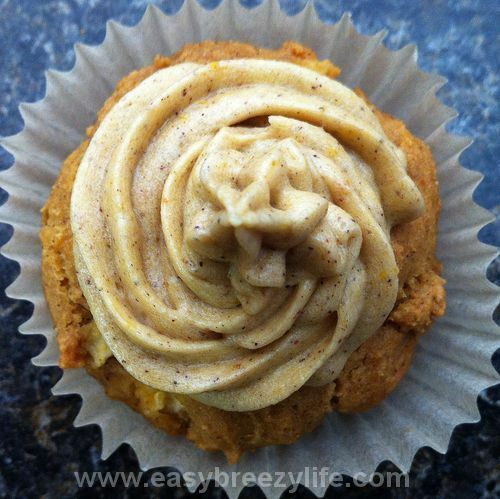 Delicious gluten free apple pumpkin muffin with cinnamon pumpkin icing. It goes perfectly with a cup of hot chocolate or tea. If this doesn’t scream fall, I don’t know what does. I can picture myself eating one all snuggled up in a blanket and looking out the window as my boys rake the yard; enjoying a quiet moment to myself. Yeah right. A moment to myself?? Who am I kidding??? 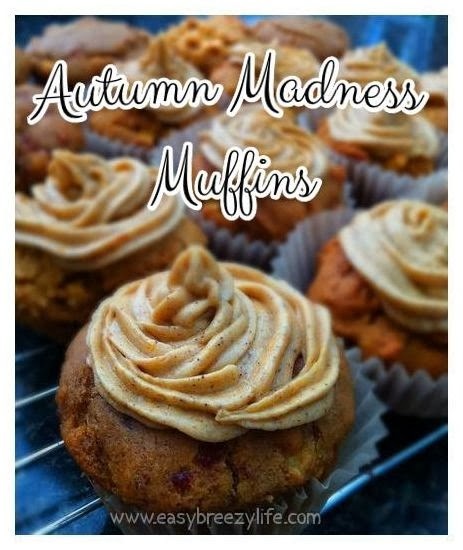 This is one of my fall go-to recipes. 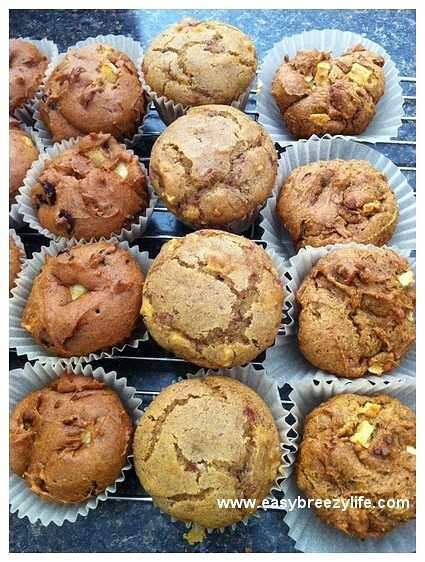 I have used a couple of different apple pumpkin muffin recipes previously but this is the first gluten-free edition. I added cranberry sauce to one batch and loved what it did to the texture of the muffin. You can see it in the picture above. The center row of muffins has cranberry sauce added to the mix. It definitely made the muffins pop up more. Like I said, I spent the day in the kitchen making different variations of pumpkin recipes. I’ll share our favorite with you. It was a tough choice. We tried adding apples, cranberries, sunflower seeds, and cranberry sauce in all different combinations. This is what we came up with. 3. Combine egg, pumpkin, oil, and cranberry sauce in a smaller bowl, then stir into dry ingredients. 4. Fold apples into mixture and allow to sit for 10 minutes. 5. Fill paper-lined muffin tin with mixture and bake 28-35 minutes. 1. Mix all ingredients (except milk). Slowly add milk until desired consistency.